Where will you find the highest rates of undernourished children in the world? In Somalian refugee feeding camps set up by Doctors Without Borders? In the drought-prone and resource-deprived war zones of Afghanistan? No, instead it is India, the nation with the second fastest rising economy in the world, a country with the world’s highest surging millionaire population. As the daughter of Indian-born immigrants, this year’s endlessly glowing spotlight on India as home to the Oscar-winning Slumdog Millionaire, selected host to the 2010 Commonwealth Games, and home to this past spring’s largest democratic elections in human history, my family has been celebrating the international acclaim their mother country has received lately. However, these successes translated in my mind as points of confusion rather than cultural pride. This was the same India that boasted humanity’s largest democracy, and yet social justice was no where to be found when it comes to the nutritional status of its 391 million children. 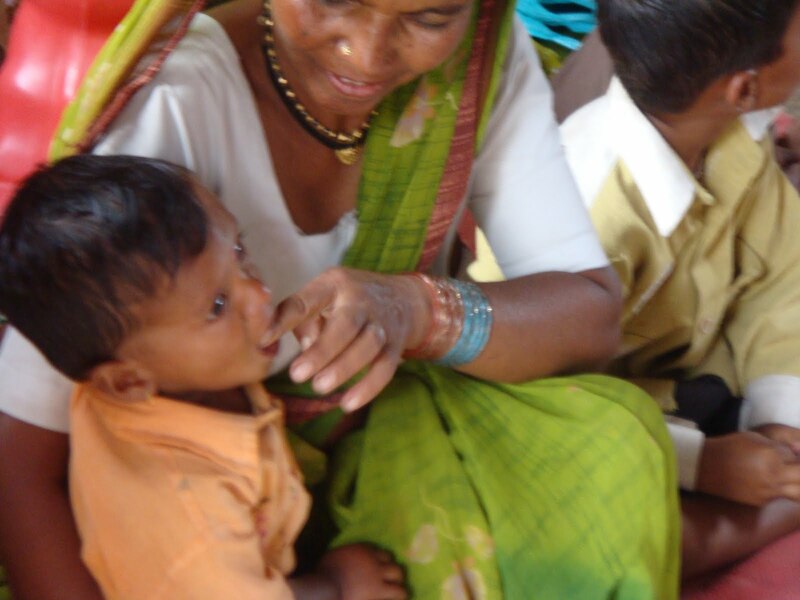 After spending the past few summers engaged in child health work in the rural Himalayan villages of India, I became accustomed to weekly reportings of child starvation deaths in the news, children too weak to learn their daily lessons at school, and youth dying not from malaria and HIV/AIDS, but simply from a lack of basic nutrients to sustain their growing bodies. I could not justify conceptually or experientially how a country abundant with newfound wealth could at the same time engender 47% of its children undernourished. If China possessed similar child undernutrition rates as India in the 1970s and managed to reduce its incidence to 7% today, while experiencing a comparable economic growth rate as India, why did India continue to fail in achieving the public health successes of its next-door neighbor? Maybe the epidemic extended beyond a solely economic purview and was rooted in the multilayered, clandestine forces of governance, human rights, structural violence, and politics. The discrepancy between what is and what should be impassioned me to return to my ancestral lands this past summer to three regions of India that inherited among the highest rates of child undernutrition in the country, with the support of the USC Institute for Global Health. My practicum research project, which focused on the contextualization of India’s child undernutrition crisis within a human rights-based framework, became for me a cause to advocate for rather than a practicum requirement to fulfill. I was fortunate to pursue my research question at four non-profit, community-based comprehensive health centers that are renowned locally and internationally for its health and human rights work. Following this blog post, I have chronicled my life-transforming experiences at each of these global health institutions: the Community Rural Health Project in Jamkhed, Maharashtra; the Right to Food Campaign in Bhopal, Madhya Pradesh; the Sambhavna Trust Clinic in Bhopal, Madhya Pradesh; and the Institute for Indian Mother & Child in the southern rural outskirts of Calcutta, West Bengal. In addition, I have listed below a recent article that includes an interactive audio slideshow that greatly inspired me during my initial research work on India’s child undernutrition crisis. It provides profound insight into the multi-faceted sociopolitical, economic, and human rights issues surrounding India’s child undernutrition epidemic.